There are a number of conditions that can be caused by hay fever. Asthma, Sleep Apnea, exhaustion and many more. As the seasons change, so does the threat of other illnesses. 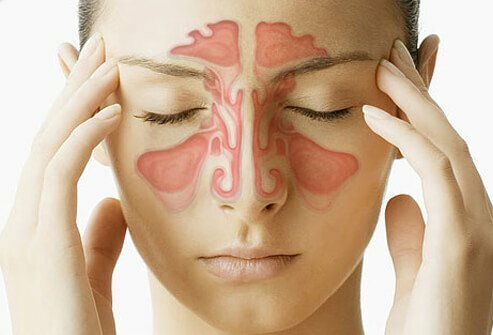 Sinusitis is a nasty condition that causes inflammation or swelling of the tissue lining the sinuses. Healthy sinuses are filled with air. But when they become blocked and filled with fluid, germs can grow and cause an infection. Below is our Top 5 Tips for managing your Sinusitis. A dry climate and heated indoor air will both dry out the membranes in your nose. And when the mucus up in there dries, it gets thicker and is more likely to clog your sinuses. The result? Pain and pressure. The best solution: Get a room humidifier for your bedroom and use it while you’re running the heat. Use a saline solution to remove allergens, irritants, and excess mucus. You can use a drugstore saline spray. Or make your own solution at home and use a nasal irrigation system like a Neti pot, a gadget that looks like a teapot. NeilMed Sinus Rinse is a perfect saline nasal irrigation system for getting rid of excess mucus. Things in the air around you — like pollution, cigarette smoke, cleaning products, hair spray, and any other material that gives off fumes – can make your problems worse. If you smoke, it’s time to quit. Stay away from other smokers, or ask them to take it outside. Also, stay inside on high air-pollution days if you can. Apply a warm, moist washcloth to your face several times a day. This can help open up spaces in your sinuses. To keep them moist, inhale steam two to four times a day. One simple way to get it done: Sit in the bathroom with a hot shower running. Drink plenty of fluids, too. That’ll thin out your mucus and help you get rid of it. Decongestants reduce the swelling in your nose and can ease stuffiness and sinus pressure, too. You can get them in more than one form. Pills & sprays. Ask your doctor or pharmacist about the types of medications you can take to help ease your sinus problems.